I chose to get loose! It’s Thursday. Aside from the usual Thirstday of Couchsurfing Manila, it’s De La Salle University’s 100th year and the celebration of our company president’s birthday. 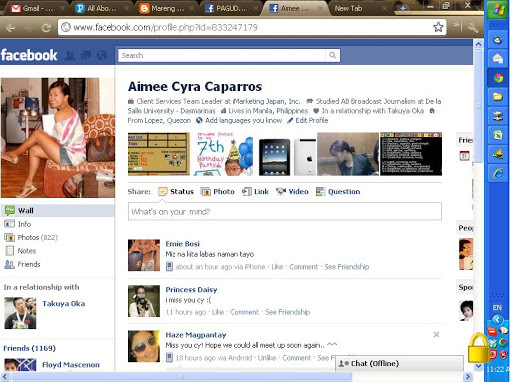 It’s such a busy day for me but I realize that the “unfortunate incident” happened almost a week ago. Thinking back, I know how things and the way I think and behave changed a lot. Every day is a learning opportunity. There were many mixed reactions from people who found out this incident, some blamed us, some were threatened, some learned and some cheered us up. The incident happened at around 4pm, then, after reporting it to all concerned individuals and parties, to cheer us up, we got free tickets in Star City from my sweet friend, Che! Yahoo! I know you won’t believe but it was my first time. And Taku was funny when he said “It’s weird seeing you in a cold place!” Then we had tequila shots and mojito at Café Havana. Luckily, we both know how each other unwind and get loose. Just like what my cousin Zarah used to say, “There’s no way but up” so after a few days, I got back to my feet and moving on. It’s funny because I had some basic make up set, the cheaper but essential ones. 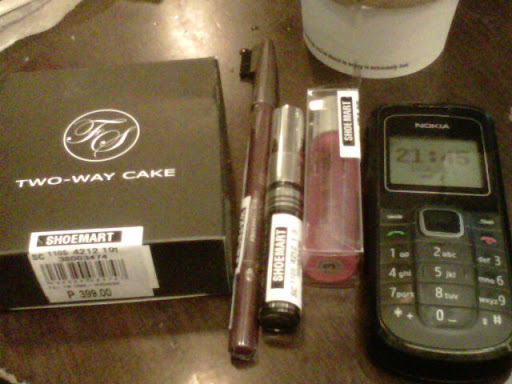 Thanks to my summerbuddy, Roxy, for a wonderful dinner because I don’t have money (haha) and to Marquee for accompanying me and for the photo of my new makeup set! And I am truly blessed; my friends know the right time to say “I miss you Cy!” You guys cheered me up big time! I miss you toooo, Girls! 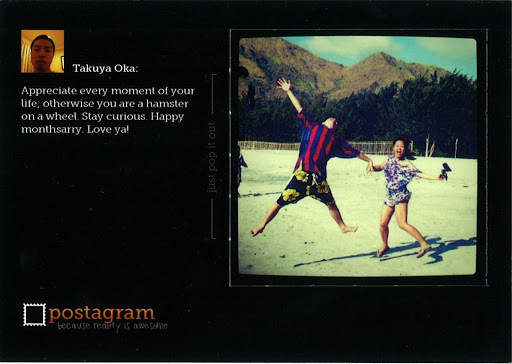 Plus, I got a gwapo fat boyfriend who can say “Mahal Mahal Kita!” and sent me a post card for our monthsary last month! How we react on things matters more than the unfortunate incident. 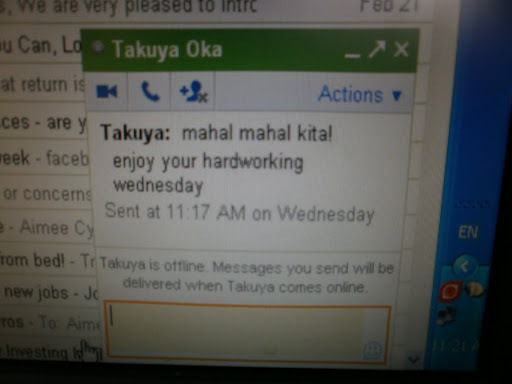 Also, I am a Filipino and there are studies that show that the Philippines is the happiest country in Asia! Just like what Mr. Robles said, for Filipinos, happiness isn’t a goal, it’s a tool for survival! Remember, in a conflict, you always have a choice. « Salisi Gang: that’s it, pansit!